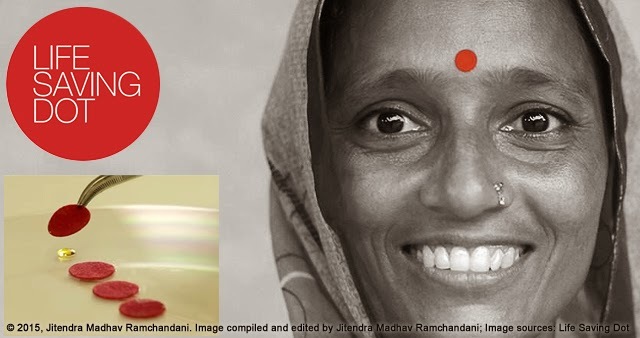 Jeevan Bindi or Life Saving Dot delivers Iodine to the wearers forehead skin to her body. That's innovation. "Jeevan Bindi" (Life Saving Dot) is the best example of product design I have seen in the recent past, specifically in the health industry. It's useful, beautiful, simple, usable, accessible, local and culturally adapted to the end-user's requirement.